Remove 6pcs M3 screws on the side of the instrument and open the upper cover. The butterfly laser is fixed on the corresponding hole position of the mounting plate with 4 M2.5 X6 screws. According to the pin definitions to Connect your laser diode. 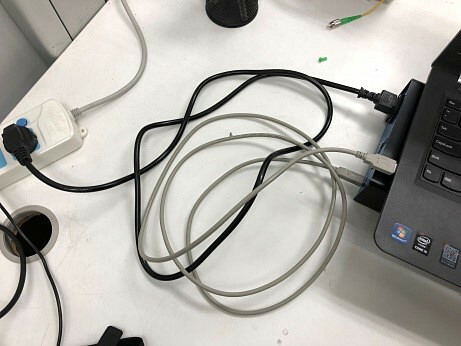 The optical fiber port is connected to the panel with FC/APC Senko Adaptor, and the fiber direction is constrained by the wire clip when necessary. Before making the LD work, Please check all the parameters carefully make sure all the setting values in the working Range. Click the Auto Run on Settings GUI. 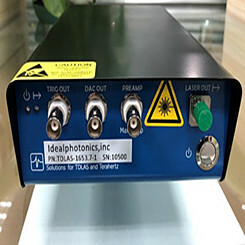 The laser will keep on working, The result of the selected single phase lock phase amplification will be output to the DAC port. In the oblique wave scanning phase, TRIG will output high level; there is a 10ms interval between each scan and the TRIG is a low level. 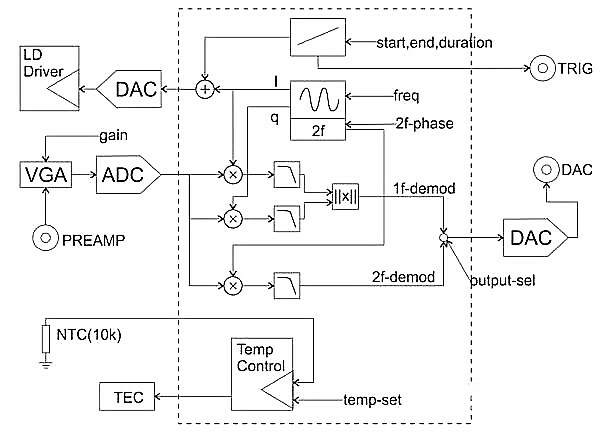 It is suggested that TRIG be connected to the 1st channel of the oscilloscope, and its rising edge is triggered as a synchronous trigger; DAC is connected to the 2nd channel of the oscilloscope. 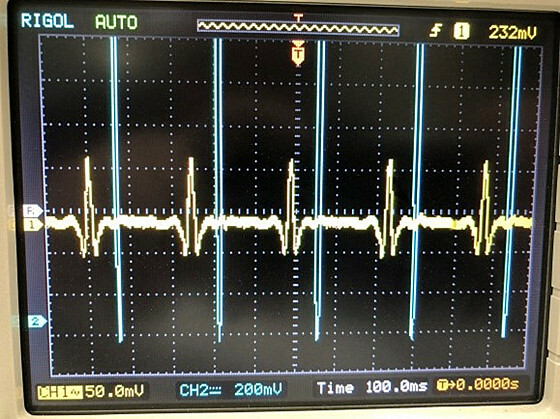 Adjust the oscilloscope to scale and shift to display the complete scan waveform (Refer as Picture 2 ). 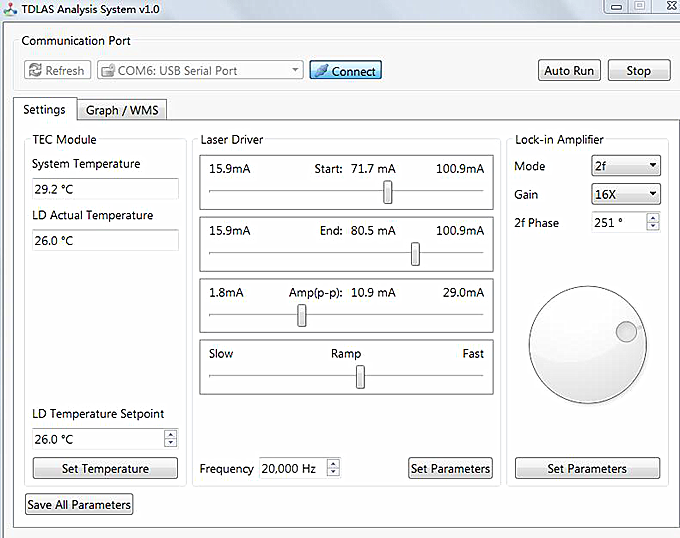 Set all the parameters well，and make sure the controller not in the Auto Run state, enter the Graph page, Click the Single Scan Button，The controller will begin a single scan and display the 1F and 2F demodulation results in the diagram. Clicking on Continue Scan will begin to scan continuously, and all the waves will be uploaded after each scan. Because of the time of communication, the time of scanning interval is not definite. Clicking again will stop running. 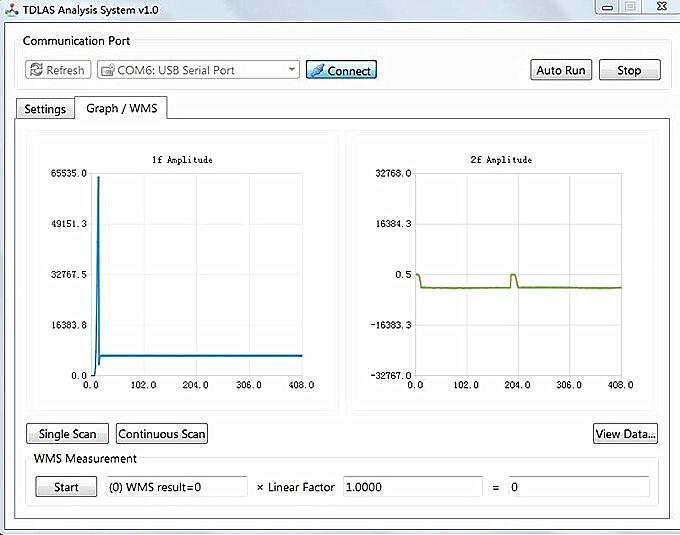 In Graph page, ”WMS measurement” Click start button，The controller will automatically scan it several times and try to analyze the absorption peak amplitude information in the waveform, which takes about 6-15 seconds in total. The analytical effect is related to the selection of laser, the setting of optical path and the experimental parameters. The result range is 0~50000. Users can set linear coefficients in Linear Factor to fit the actual experiments.